The White House announced Tuesday that it is dispatching one of President Obama’s top aides to investigate deaths allegedly connected to a Department of Veterans Affairs medical center in Phoenix, part of the administration’s efforts to contain growing outrage over delays in treatment and rigged recordkeeping at veterans hospitals. Rob Nabors, a White House deputy chief of staff, has been assigned to assist top VA officials in probing allegations of wrongdoing by staffers at the Phoenix facility and elsewhere. He will be meeting with Arizona hospital officials Thursday after meeting Wednesday with representatives from several veterans organizations in Washington, according to the White House. Republicans have seized on the recent VA allegations as potential fodder for this fall’s midterm elections, and a few GOP senators have called for the resignation of Veterans Affairs Secretary Eric K. Shinseki. 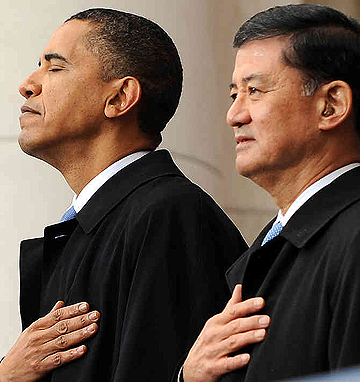 Obama“has confidence” in Shinseki, according to White House Press Secretary Jay Carney, who added that administration officials will wait for the results of an internal review at the VA before taking any action against high-ranking officials. The controversy is particularly acute for Obama, who has joined with first lady Michelle Obama and Jill Biden, the wife of his vice president, in focusing on veterans’ issues as a hallmark of his administration. The White House has pressed successfully for more federal funding for VA, expanded the list of what qualifies for disability treatment and urged private-sector firms to employ veterans once they return from Iraq and Afghanistan. 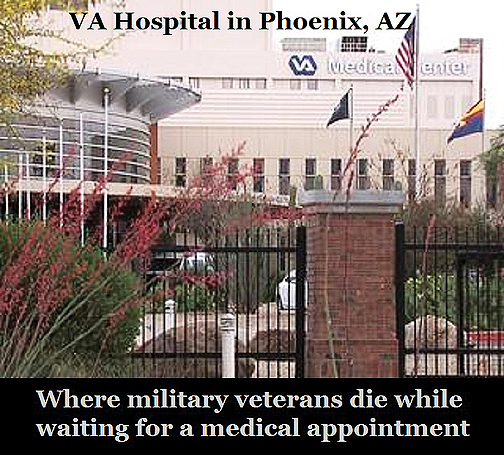 VA’s inspector general is looking into allegations by a former clinic director in Phoenix that up to 40 veterans died while waiting for treatment at a VA hospital while staffers disguised the wait times that patients faced. Shinseki is conducting his own review with the help of Nabors, who was temporarily assigned last week to help the agency overhaul its practices. House Speaker John A. Boehner (R-Ohio) has said that firing Shinseki would only hamper the administration’s ability to address “systemic” issues at the department. 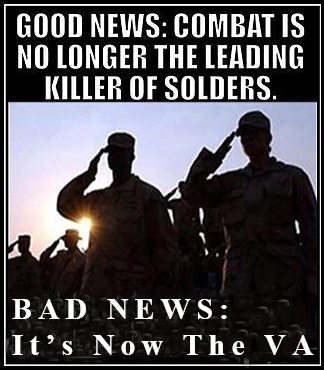 But House Majority Leader Eric I. Cantor (R-Va.) said Tuesday morning that he was “disturbed” by reports suggesting that Obama first learned of the allegations against the VA through news reports. 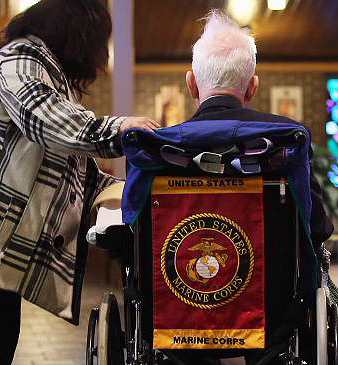 “It is time for our president to come forward and take responsibility for this and do the right thing by these veterans and begin to show that he actually cares about getting it straight,” Cantor told reporters. Rep. Tammy Duckworth (D-Ill.) — an Iraq war veteran, double-amputee and former VA assistant secretary — said in an interview late Monday that the recent allegations are similar to problems she faced at the department from 2009 to 2011. “I’m not surprised, because it’s such a large network that you’re going to find problems,” Duckworth said. But she expressed support for Shinseki and said he should not resign. When asked whether the allegations could affect Obama’s legacy of helping the nation’s military veterans, Duckworth took a long pause before answering. Obama said at a news conference last month that he took the VA allegations “very seriously,” and White House chief of staff Denis McDonough said Sunday that the president was “madder than hell” about it. Republican National Committee press secretary Kirsten Kukowski sent an e-mail to reporters Monday — with the tag­line “Mad” — mocking Obama for learning about the VA controversy from CNN, which first reported the Phoenix allegations. Sens. John Cornyn (R-Tex.) and Jerry Moran (D-Kan.), have called for Shinseki’s resignation, and the issue has become a hot topic in some midterm races. Cornyn went further Tuesday by suggesting that Obama should withdraw the nomination of Jeffrey Murawsky to serve as the new VA undersecretary for veterans health. “Instead of nominating a reformer from outside the VA system,” Cornyn said that Obama opted to nominate a “career administrator” from within the department’s ranks. Senate Veterans Affairs Committee Chairman Bernard Sanders (I-Vt.) said in an interview Monday that politicization of the issue would be “unconscionable.” He said representatives of service organizations who testified before his committee last week agreed that VA continues to provide quality health care to veterans. “Obviously, there’s an issue that we must focus on — the issue of access and getting veterans into the system and, very significantly, the issue of waiting times,” Sanders said. Carney said a chronic backlog of veterans’ disability claims at VA had been cut nearly in half over the past year. But he said the VA network has been strained by new policies streamlining disability claims for those exposed to Agent Orange during the Vietnam War or suffering post-traumatic stress disorder from serving in Iraq and Afghanistan. 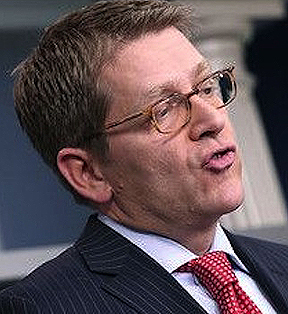 “This has put significant stress on the system, but it is absolutely the right thing to do,” Carney said. Of veterans who use VA for health coverage, however, 82 percent said their overall physical health needs were being met “very” or “somewhat” well, compared with 17 percent who said they were not being met well. On Wednesday, House lawmakers are expected to approve the VA Accountability Act, a bill sponsored by House Veterans’ Affairs Committee Chairman Jeff Miller (R-Fla.), that would make it easier to fire any “poorly performing” senior VA employees and managers. Miller and his colleagues wrote the bill in response to a year-long committee investigation that found at least 20 “preventable veteran deaths” in the VA system. The probe also determined that more than 50 veterans were seriously harmed by delays in endoscopies and other procedures in Georgia, Pennsylvania, Tennessee and other states. The majority of the deaths occurred in 2010 and 2011, according to the report. “With all the problems VA hospitals and regional offices have recently had and new issues continually arising, we need to give the VA Secretary the authority he needs to fix things,” Miller said in a statement. Scott Clement and Peyton M. Craighill contributed to this report.